December’s knocking! Around here that means hot cocoa sipping, gift giving, gingerbread house making, tree trimming, and Christmas caroling—all the Yuletide merriment that makes this the most wonderful time of the year. We know these memories are precious, and we want to preserve every single one. That’s why we’ve made the Picture My Life™ White Pines scrapbooking program different from all the others—in addition to an array of adorable journaling and title cards, this collection also includes a card for each of the first 25 days of December! Today, we’re going to share with you three great ways to use these cards. Create a pocket scrapbook page for each day leading up to Christmas! Our Picture My Life™ White Pines cards make it quick and easy to document each day because you can add your journaling, and then slide the cards and photos into place. Another idea to try out is creating a flipbook by hole punching the cards and sliding them onto a binder ring. In addition to using the cards for base pages, you can also use the 4″ x 3″ cards for matting photos, journaling, and creating tabs. The White Pines Complements make embellishing this little album quick and easy, and for a finishing touch, create a tassel out of Poppy thick twine to attach to the binder ring. What should you do with your leftover cards? Use them to create beautiful home décor, of course! Frame a single card, or use the dated cards to invent your own advent calendar. 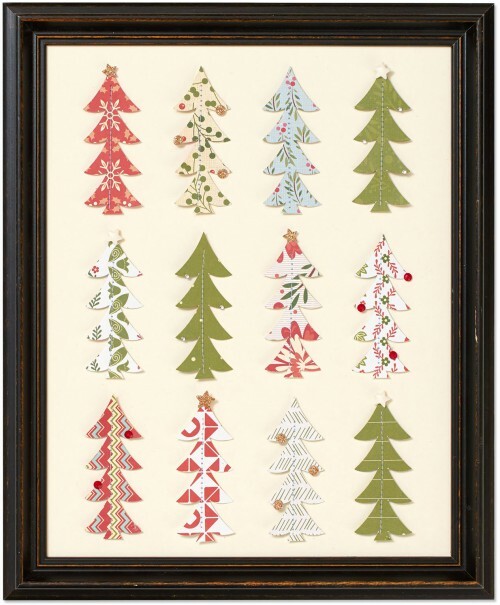 Here, we’ve simply cut tree shapes from a few different cards and sewed them onto a piece of cardstock. We then “trimmed” our trees with a few dainty embellishments, like our red gems, bitty sparkles, and enamel stars! There you have it: three ways to use the Picture My Life™ White Pines scrapbooking program to celebrate the joy of the holiday season! Want to win these fun cards? 🙂 Then check out our Facebook and Instagram posts tomorrow to start participating in our Christmas Countdown Challenge. How does it work? Well, during the first 25 days of December, we’ll be posting daily prompts on Instagram and Facebook inviting you to take your own photos and share them using the hashtag #ctmhcountdown. These prompts are designed to help you document each special moment as you prepare for Christmas Day! 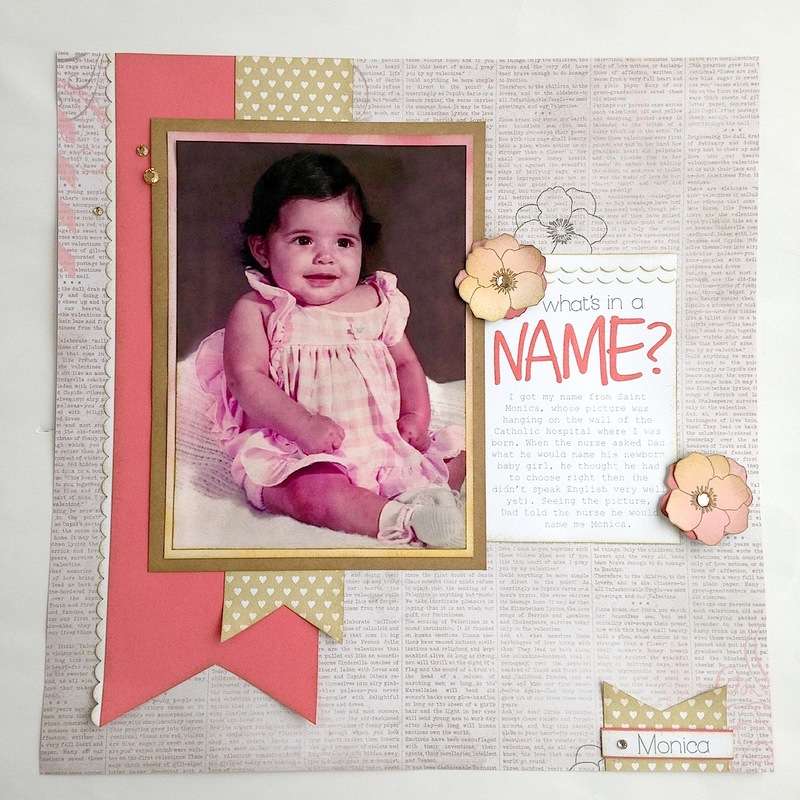 Each week, we’ll draw a winner from those who have shared their photos on Instagram and send them their very own Picture My Life™ White Pines scrapbooking program! Then, on December 28, we’ll select five winners from those who have posted every day on either Instagram or Facebook. The prize for these five winners will be a My Legacy™ Cocoa Damask D-Ring album, a Picture My Life White Pines scrapbooking program, and a Memory Protectors™ variety pack! Go to Instagram and Facebook tomorrow for your first prompt, and join us for the festivities!